Campagnolo C-Record crank with 4 arm spider, the 5th hidden behind the crank arm. 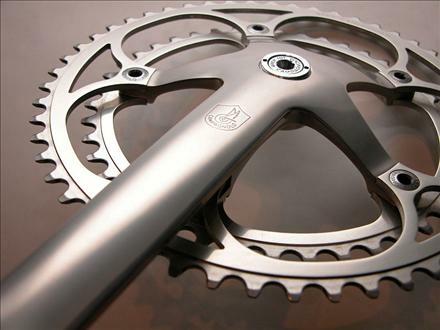 This is the first generation of the C-Record or Corsa Record crankset with an engraved Campagnolo winged shield logo. Later versions of the crank had the logo further down the crank arm and were painted on vs engraved.